With AFS™ Trade Promotion Management Retail (AFS TPM Retail) and AFS™ G2, TW Garner Food Company gains greater insights into its customer data and trade spend to optimize its potential. For a family-run business, out of Winston-Salem, North Carolina, whose mission is “making cooking and eating cool with products that are hot,” TW Garner’s success story is also heating up the market. Its flagship brand Texas Pete® Hot Sauce is the number three brand of hot sauce in the United States. It now boasts an expanded line of sauces to complement a barbeque or family dinner table. Success in business is a blessing, but success comes with its fair share of associated challenges and growing pains. With TW Garner Food Company products globally distributed to retail stores and foodservice outlets, tracking inventory, the multitude of orders, and trade promotion agreements added complexities that needed attention. TW Garner’s objective was to increase effectiveness in their trade spend to maximize their return on their investment. They wanted to keep the trade spend level at eight percent, but gain visibility into the deals to see which ones were working or not working. “We wanted to be able to clear deductions more quickly and connect them to a deal so we could conduct a post-event analysis to know the performance of the promotion,” said Rodulfo. Before implementing AFS TPM Retail, TW Garner managed all its trade spend manually on paper and relied on an inefficient approval process. She added, “Our deals were submitted on forms and there was no system to store them or to confirm if the deal amounts were accurate when clearing deductions. Before, the travel schedule of our general manager of sales created delays in the approval process, now with the dashboard feature we have the flexibility to view and clear deductions in a more timely manner. As the volume of trade promotions grow, without the right insights into your data, the potential for leaving money on the table with unreconciled and inefficient trade accounts becomes a real concern. “Using AFS TPM Retail, TW Garner was able to see all the details, as well as streamlining the way promotions are setup, and connecting the general ledger fund for faster clearing. It has made our process much more efficient,” said Rodulfo. Prior to adding AFS TPM Retail, TW Garner had been successfully using an older version of AFS G2 to gain visibility into their sales data for quite a while. “We have relied on AFS Discovery 8 for many years and could not live without it, as it’s our sales analysis tool that our sales team use. After a year of using TPM Retail, we decided to upgrade to AFS G2 and pull the spend from AFS TPM Retail into the system to give our sales team more insightful information to use when looking at their customer data,” said Rodulfo. “The main reason we moved to AFS G2 was to manage our spend—by customer and by item–to quickly drill down so our sales team could see where our issues were. It has been a great tool for our company as it allows us to easily manipulate our data to get the insights we want quickly,” she added. TW Garner Food Company has a vision to be unrivaled at touching people’s lives with the most satisfying food products and services on the planet. AFS Technologies is glad to be a partner to help TW Garner fulfil that vision. Headquartered in Winston-Salem, North Carolina, TW Garner Food Company is famous for its Texas Pete® Hot Sauce, the number three brand of hot sauce in the United States. 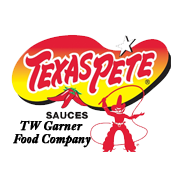 Founded in 1929 as a maker of barbecue sauce, the company now sells a full line of hot sauces, wing sauces and seafood sauces under the Texas Pete® brand, as well as salsa and tortilla strips under the Green Mountain Gringo® brand. 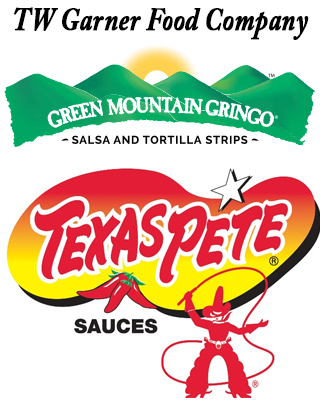 Texas Pete® and Green Mountain Gringo® products are sold in supermarkets, military commissaries, convenience stores and restaurants throughout the United States. AFS Technologies (AFS) is the leading provider of software solutions purpose-built for consumer goods companies. We are committed to generating improved outcomes at the point of purchase coupled with generating efficiencies in trade spend, retail execution and supply chain. With experience developed over its 30 year history, AFS serves more than 1,300 customers of all sizes in over 50 countries around the world. The AFS products are innovative, configurable solutions that are proven to optimize your potential with automated processes, improved productivity and rapid time to value.